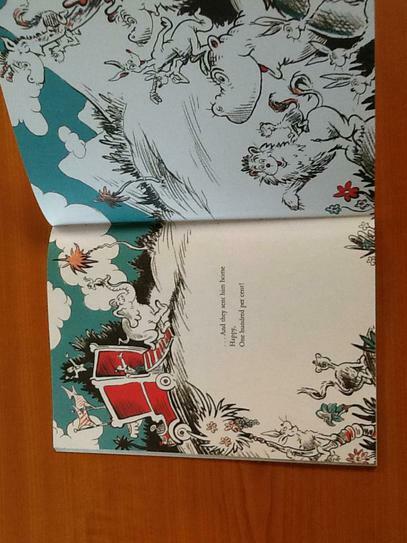 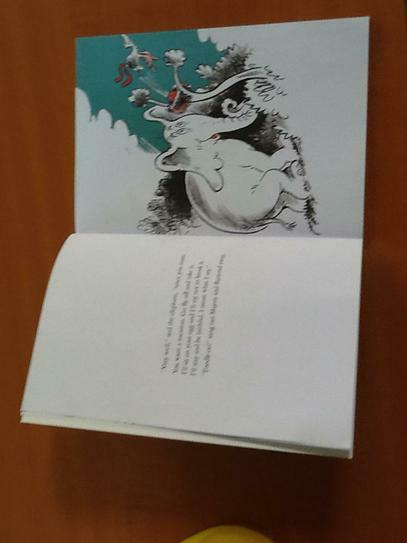 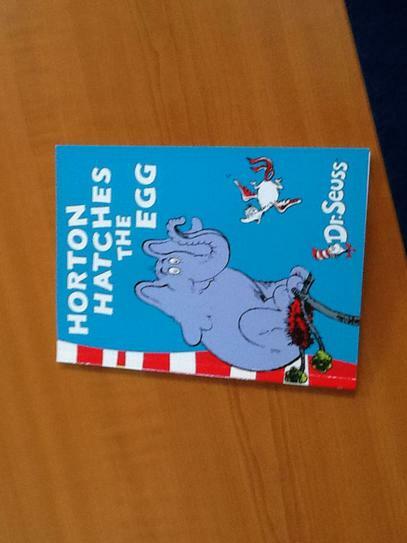 Today we read the story, "Horton Lays the Egg". 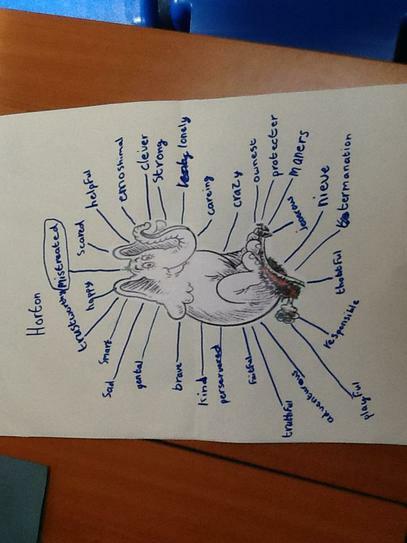 The children sat and listened intently to the story and we eager to contribute their ideas to the characters of Horton and Lazy Mayzie and completed a Role on the Wall. 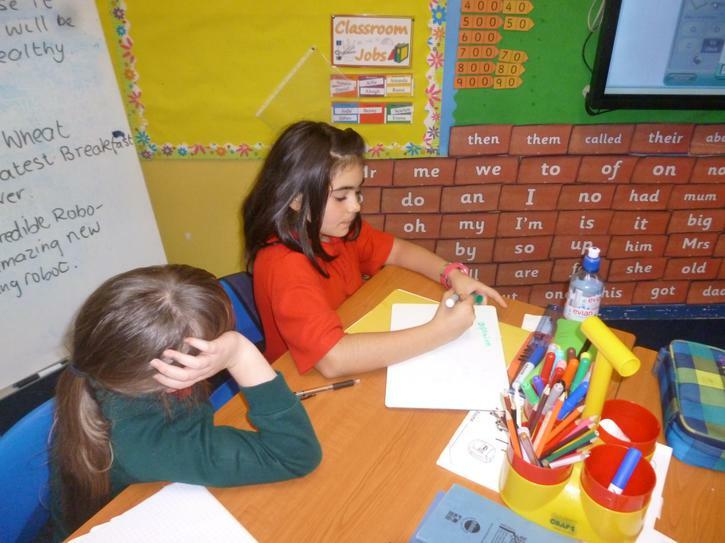 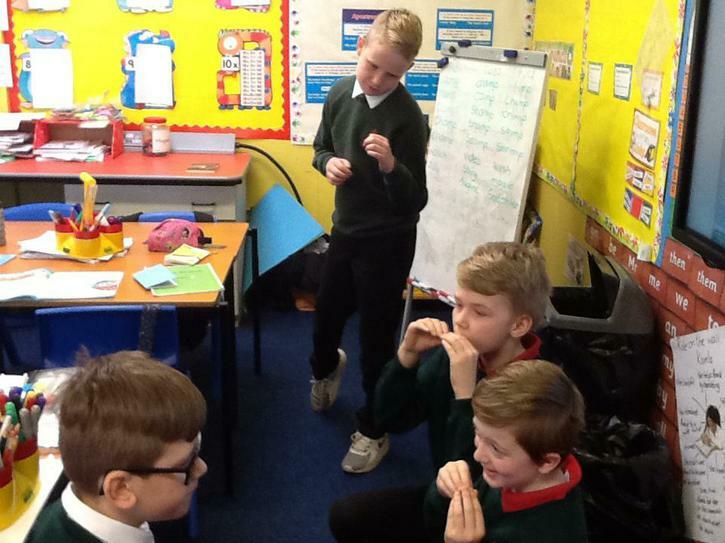 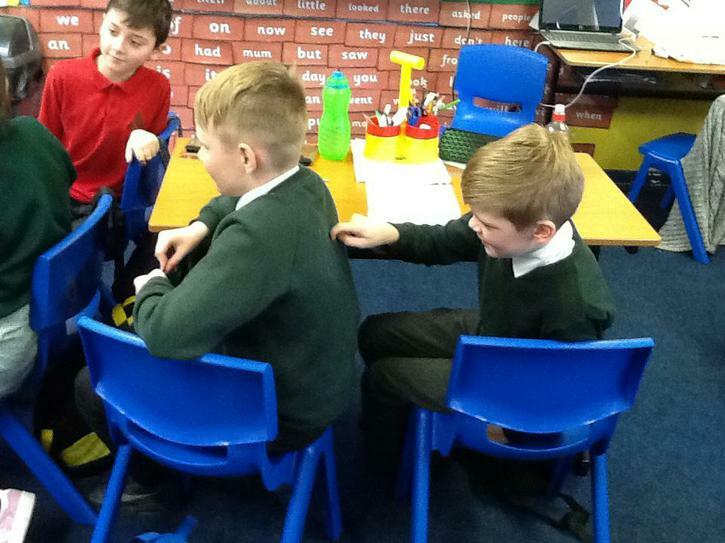 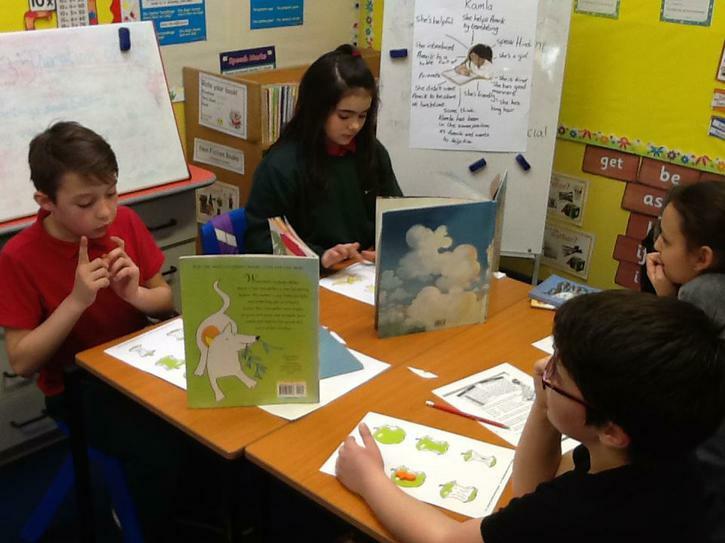 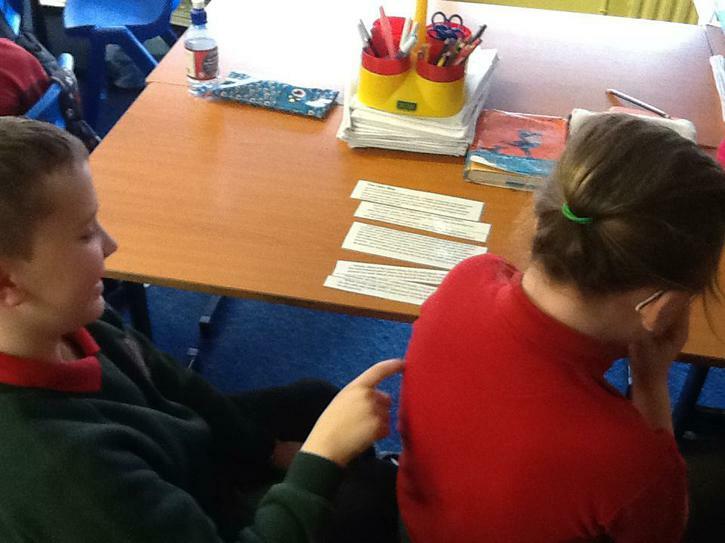 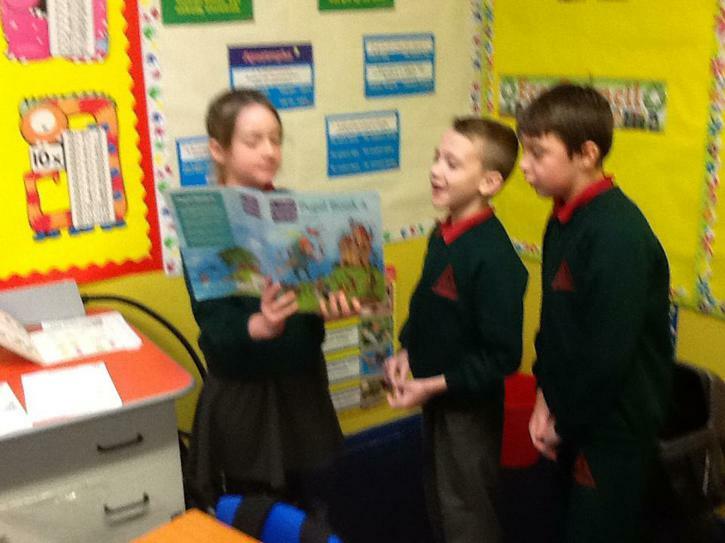 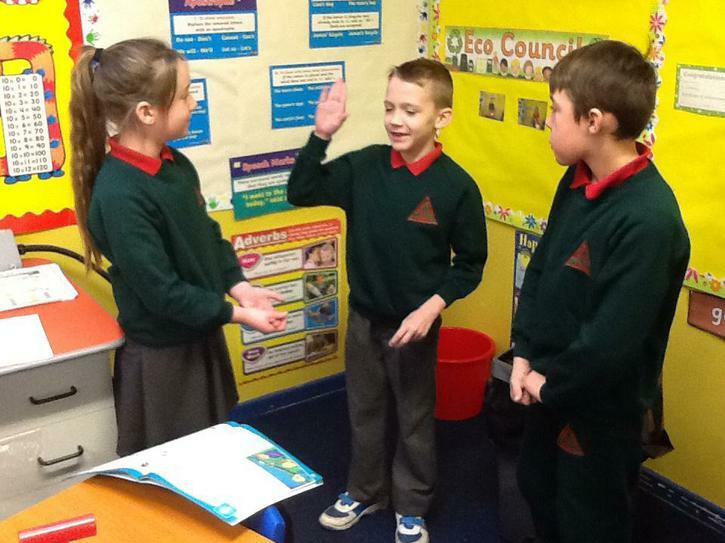 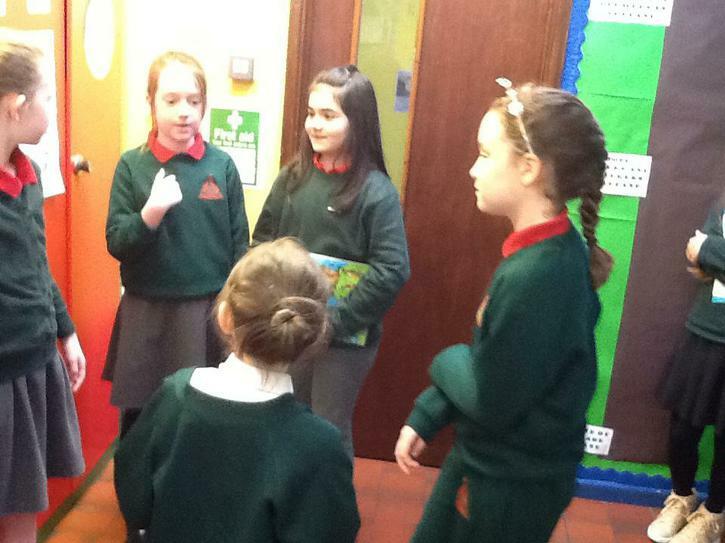 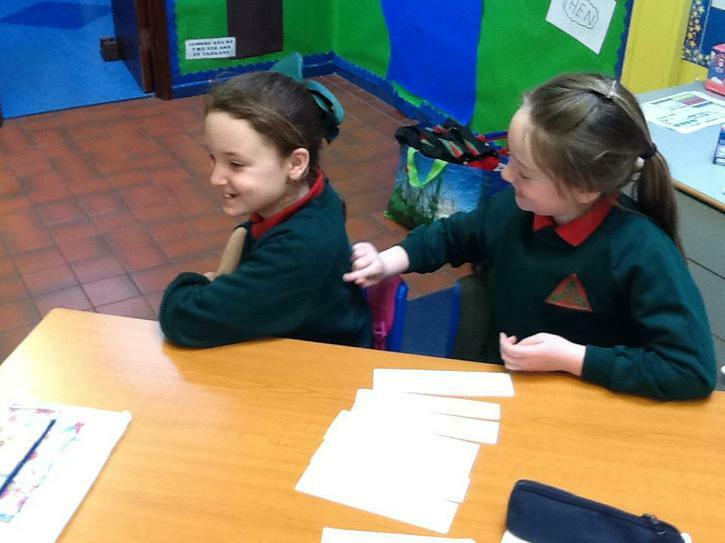 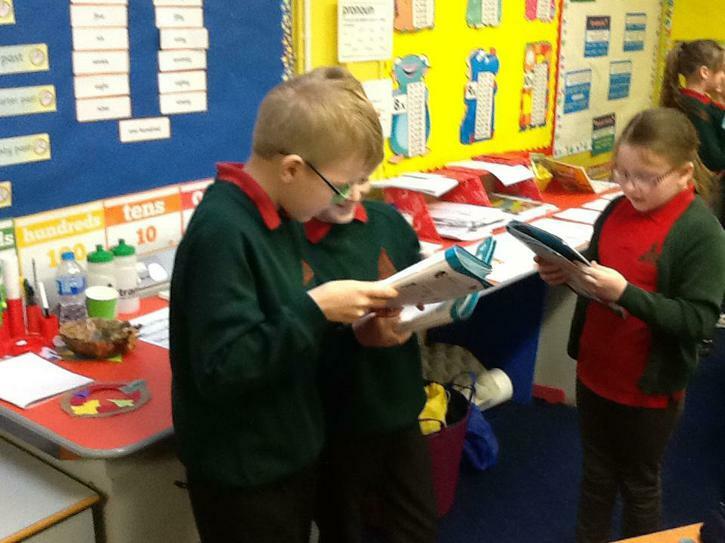 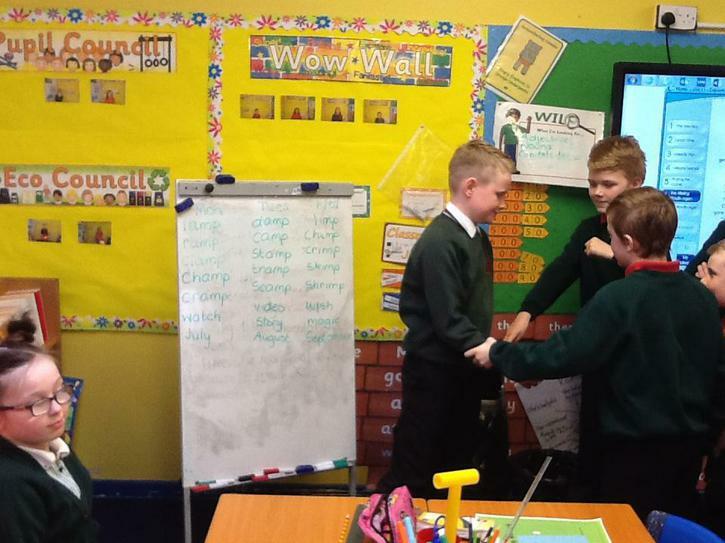 The children enjoyed working in groups to freeze frame parts of the story from, "The Mouth Organ Boys". 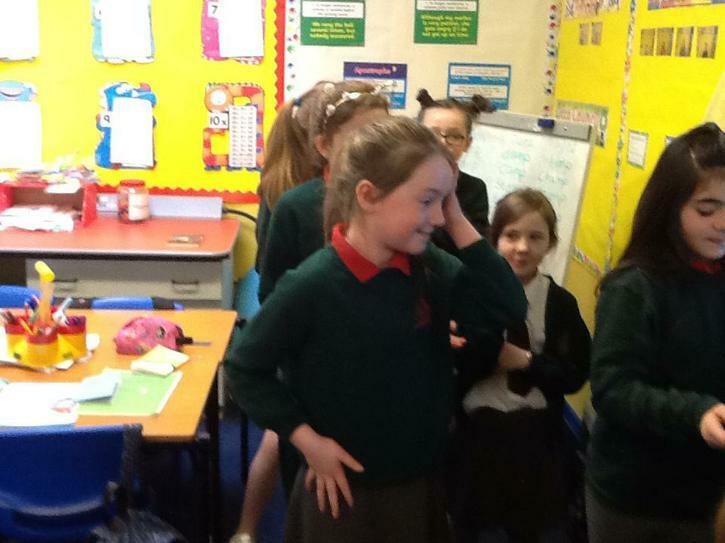 The children were also able to empathise with the characters in the story and through freeze framing they showed the emotion in their faces and stances. 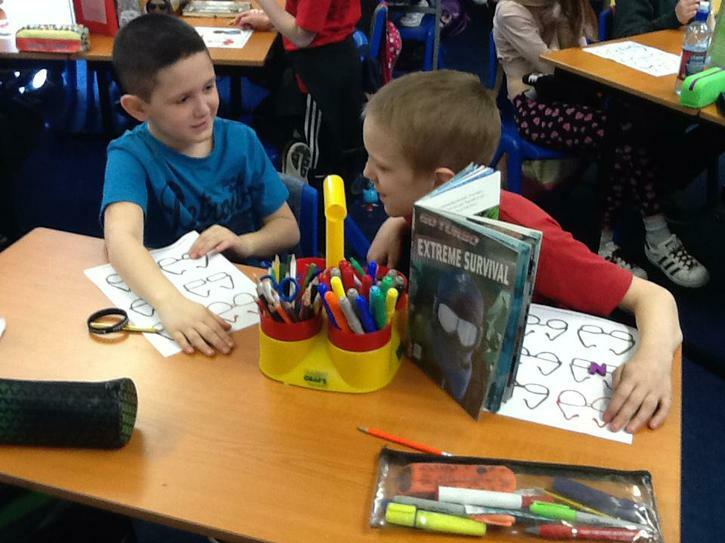 We continued with Talking Partners today. 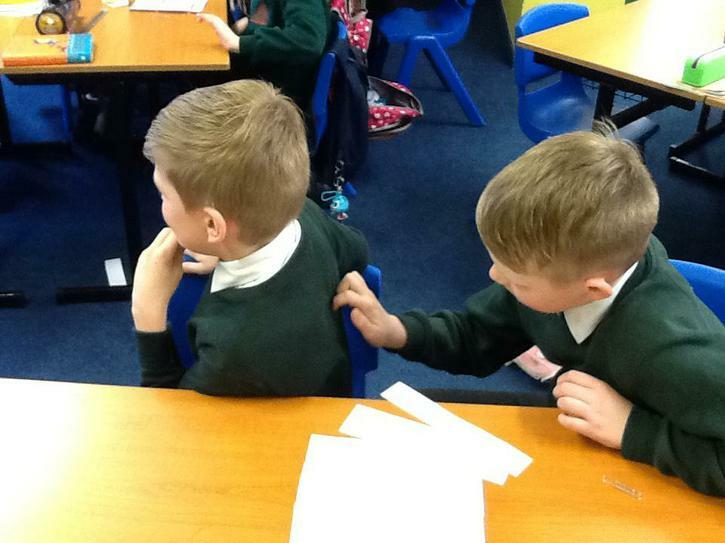 We began with Silent writing, guessing what word our partner had scribed on our backs. 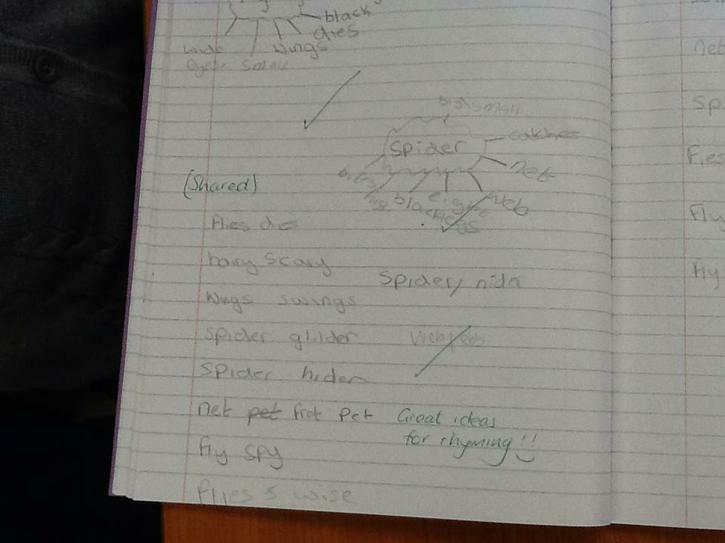 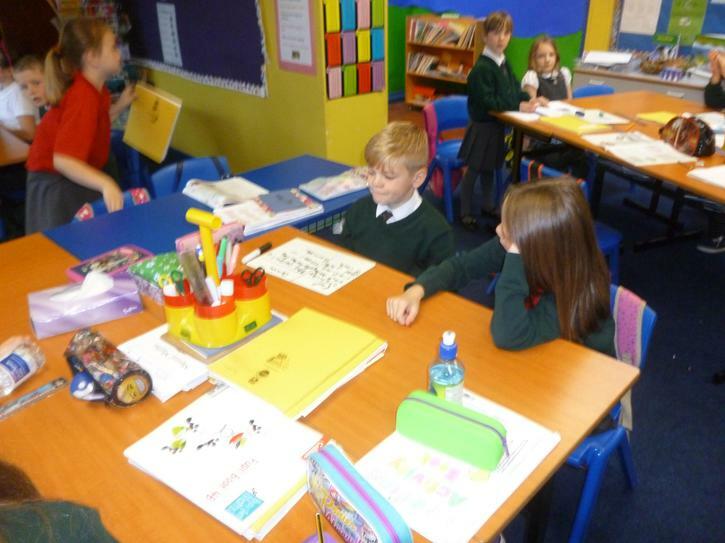 The children used their knowledge of phonics to guess the word. 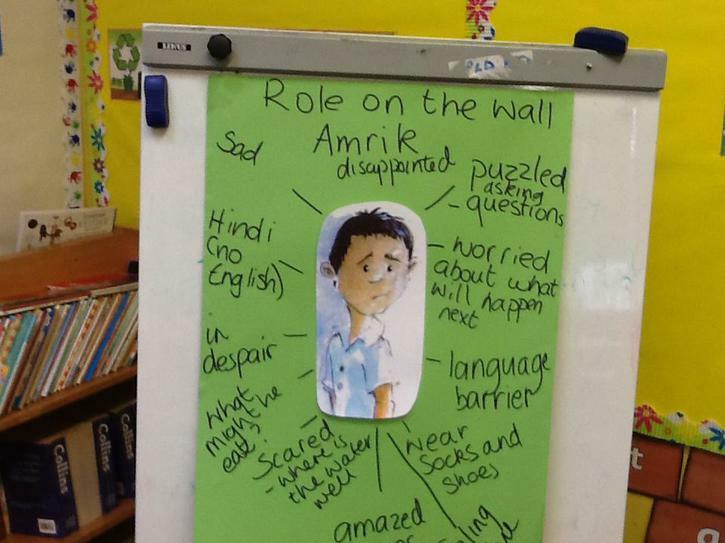 Children then examined the character of Amrik and by asking appropriate questions the children were able to describe Amrik's thoughts and feelings. 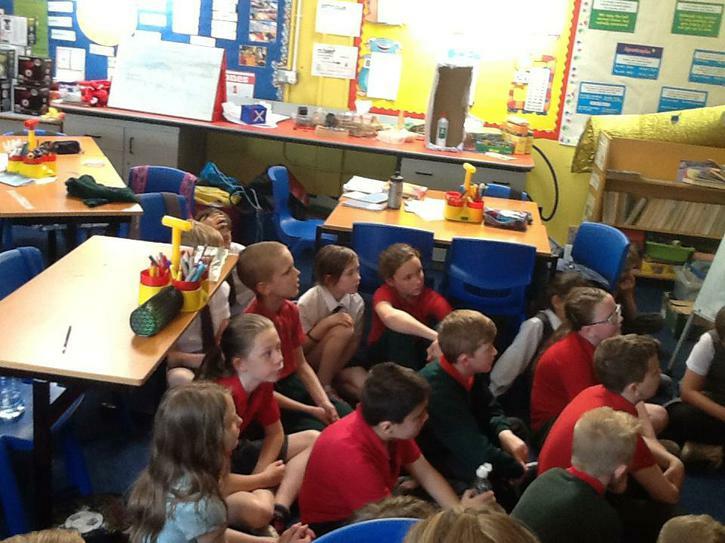 Some of the children were able to empathise with Amik, having moved schools also. 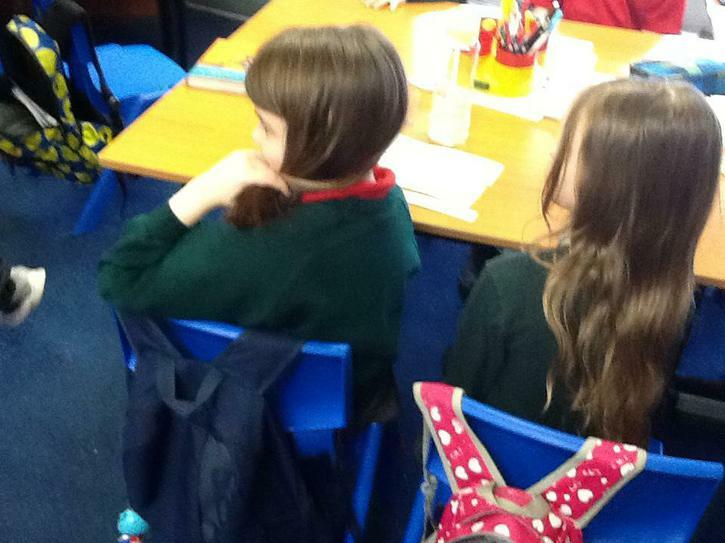 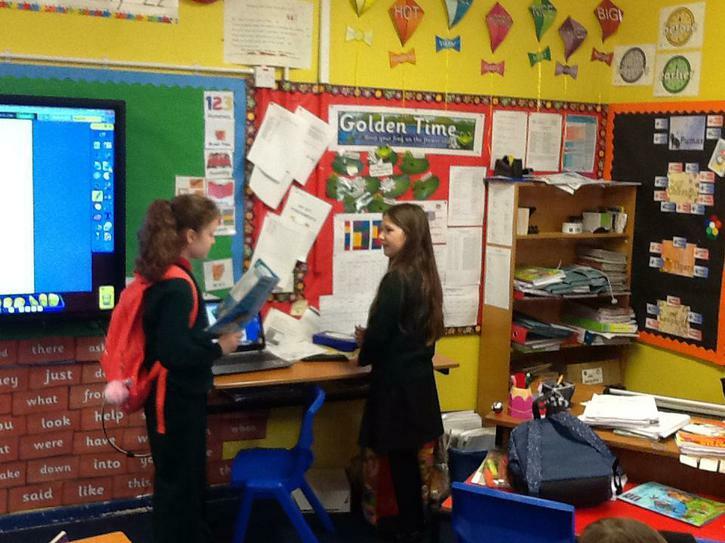 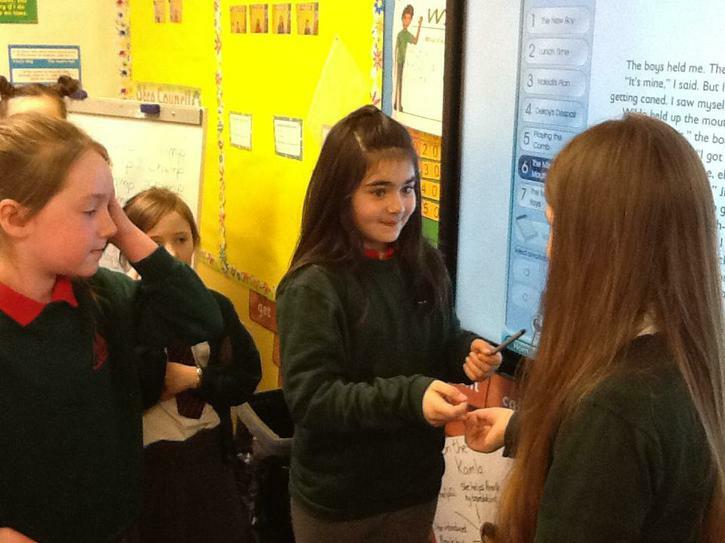 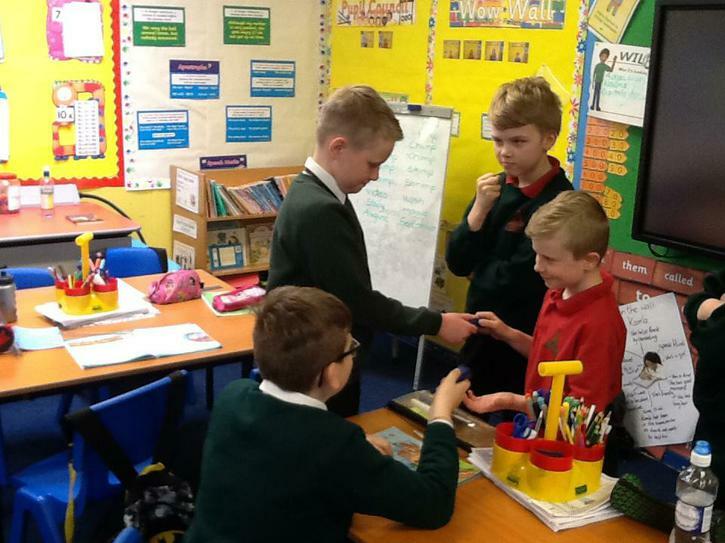 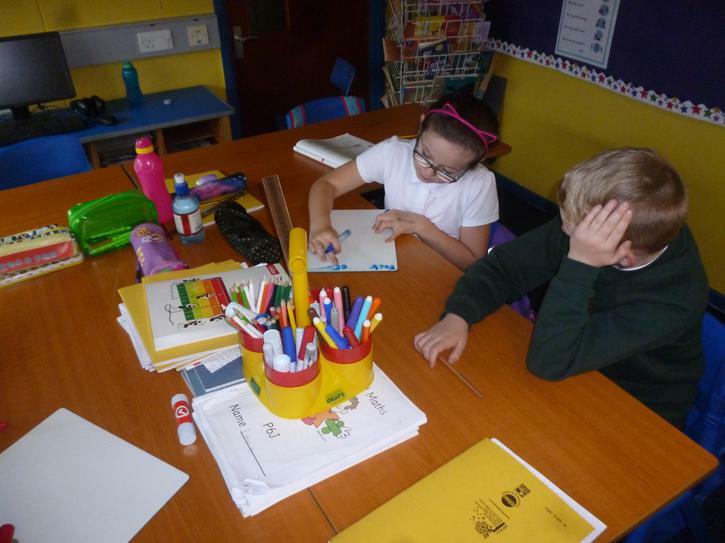 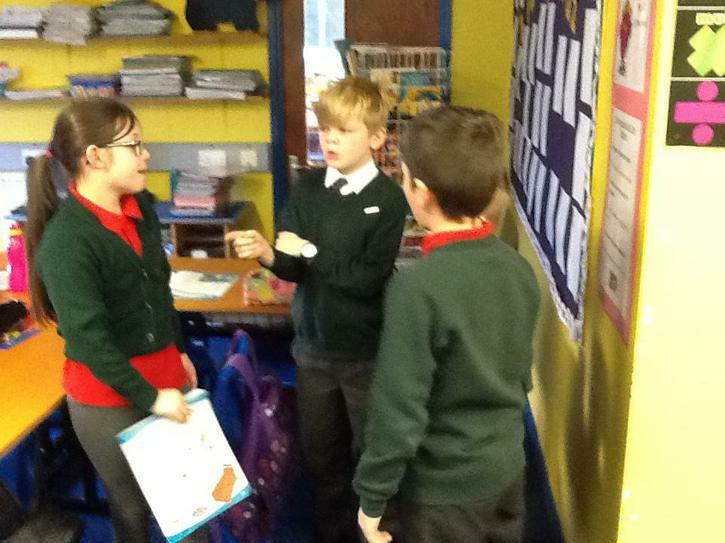 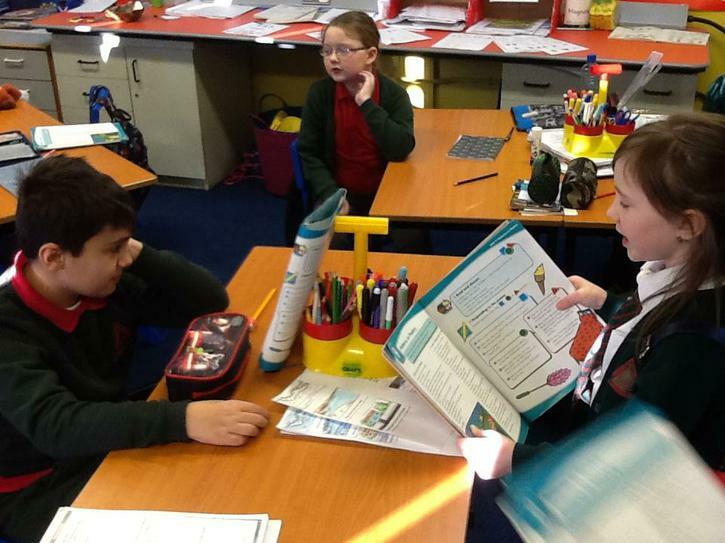 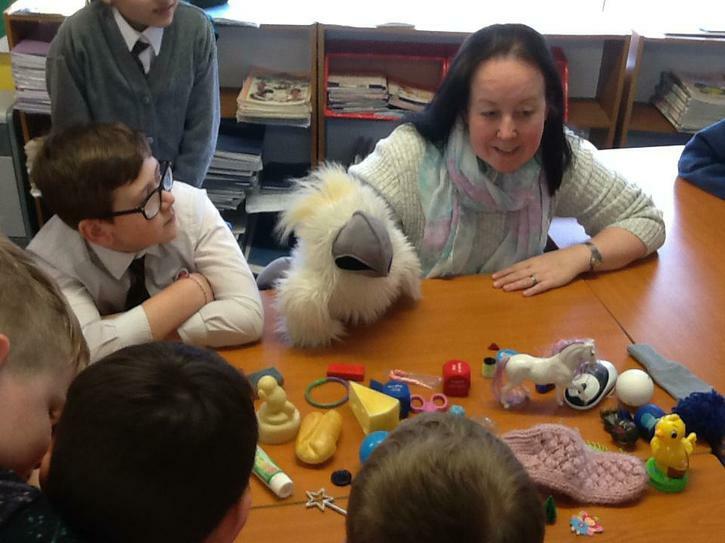 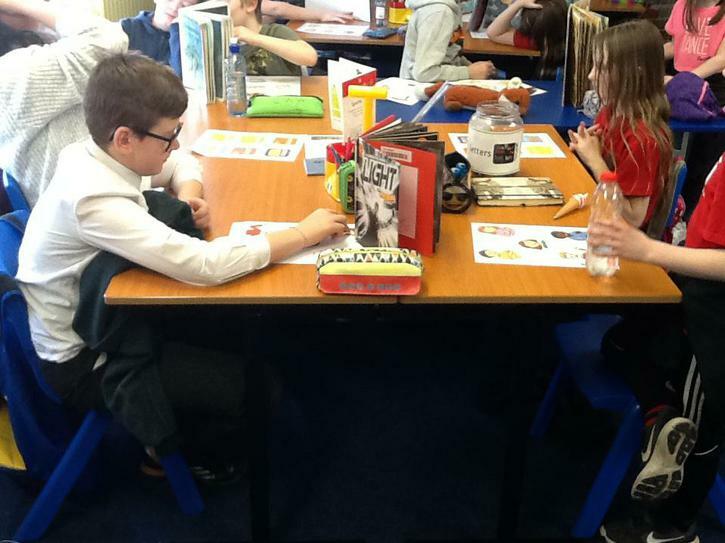 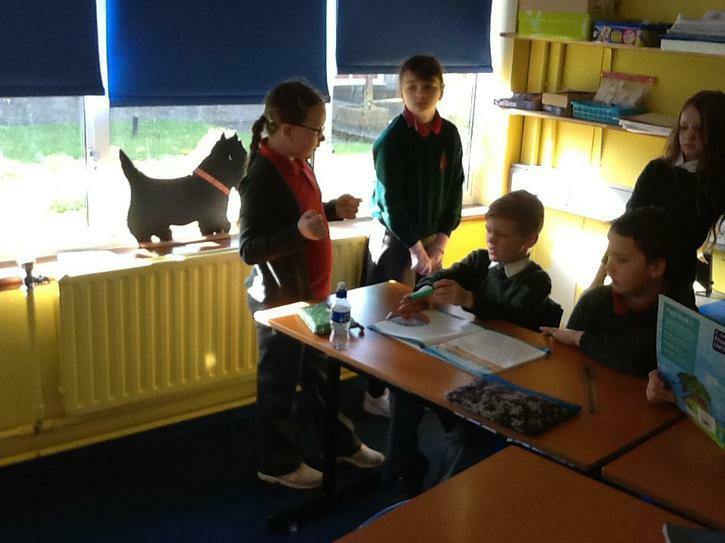 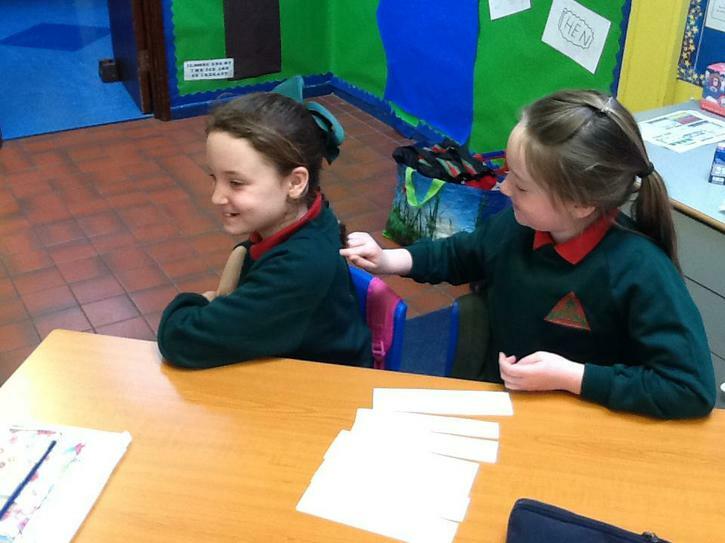 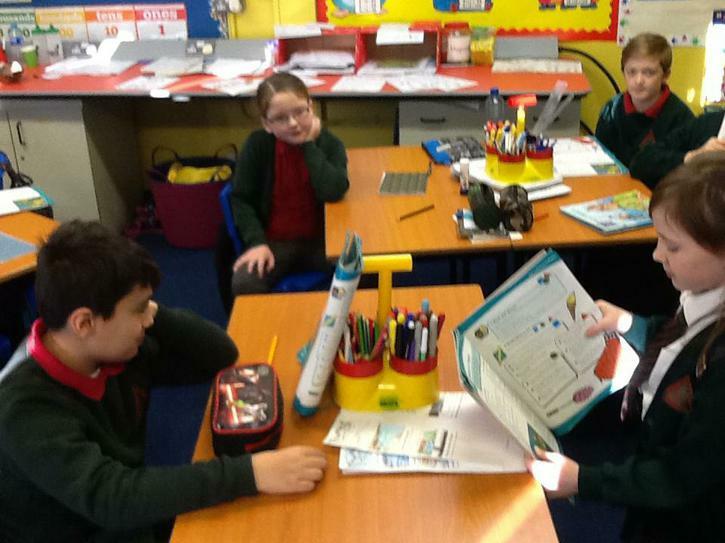 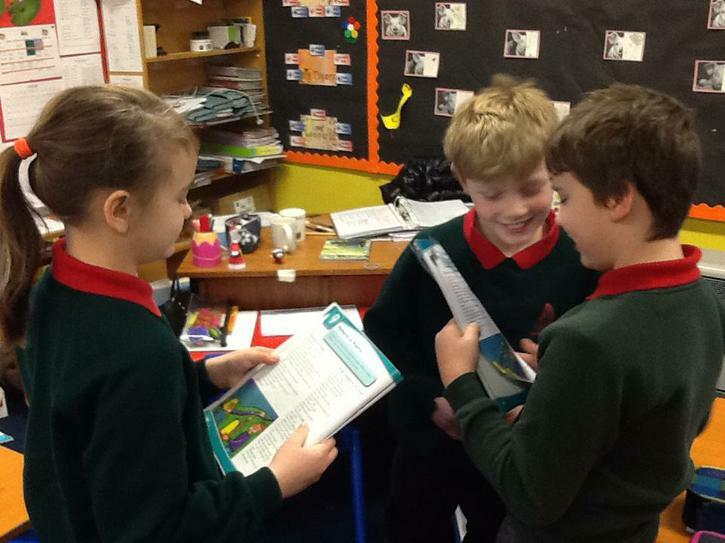 Today P5/6 were introduced to Talking Partners. 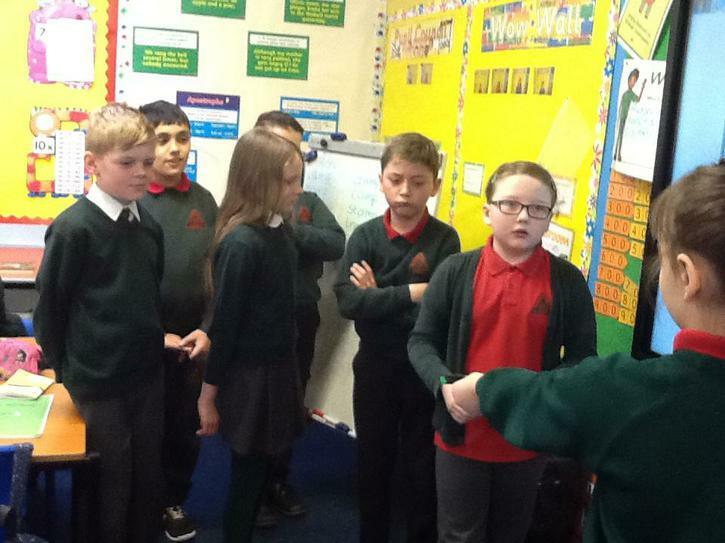 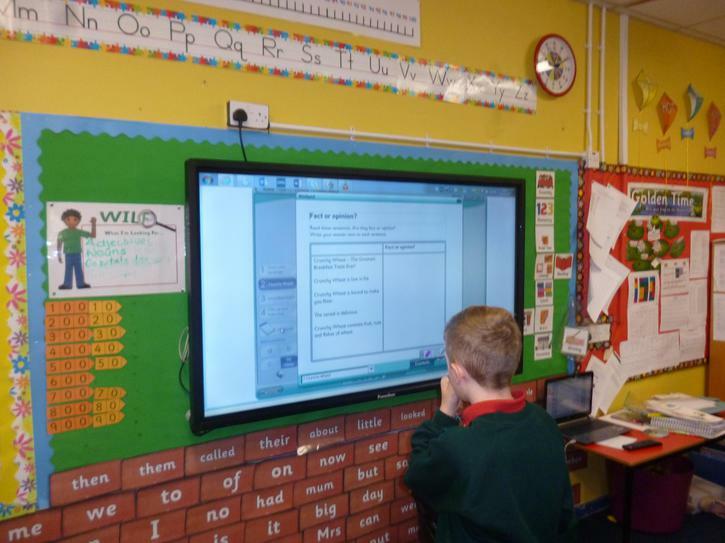 Mrs Parnham came into the classroom and we began our lesson with Role on the Wall. 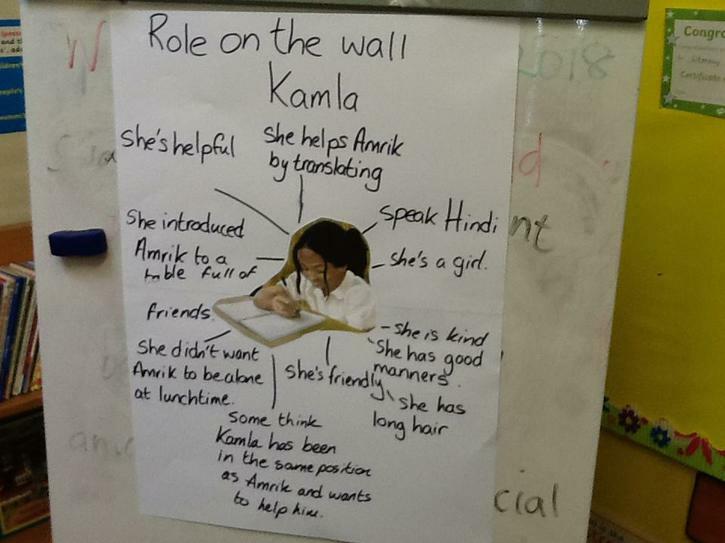 We crossed examined Kamla's character from our Literacy topic and focused on Inference, were the children had to make a good guess about the character based on the information they are given! 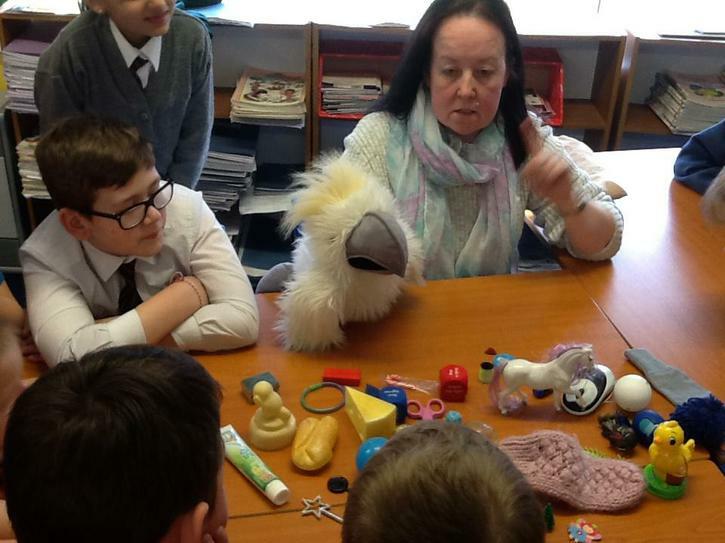 We played the barrier game and were introduced to Hairy Bird!! 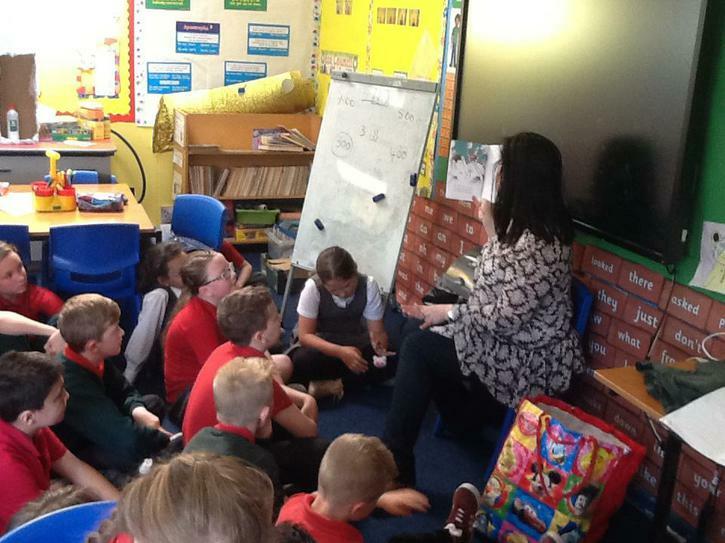 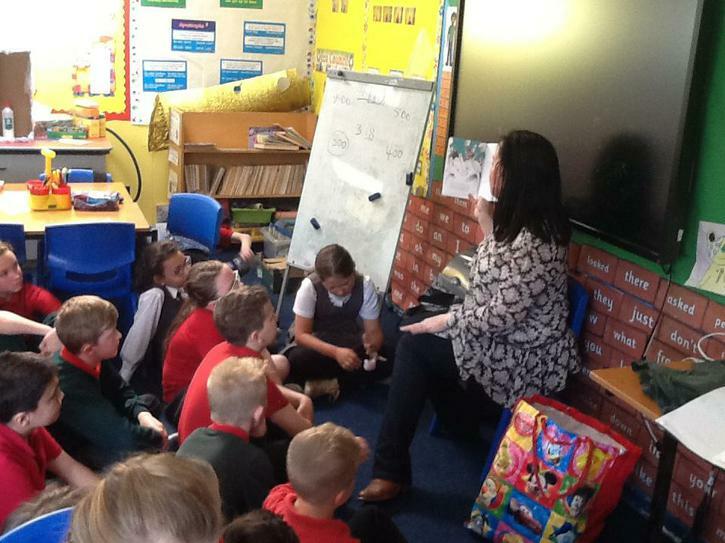 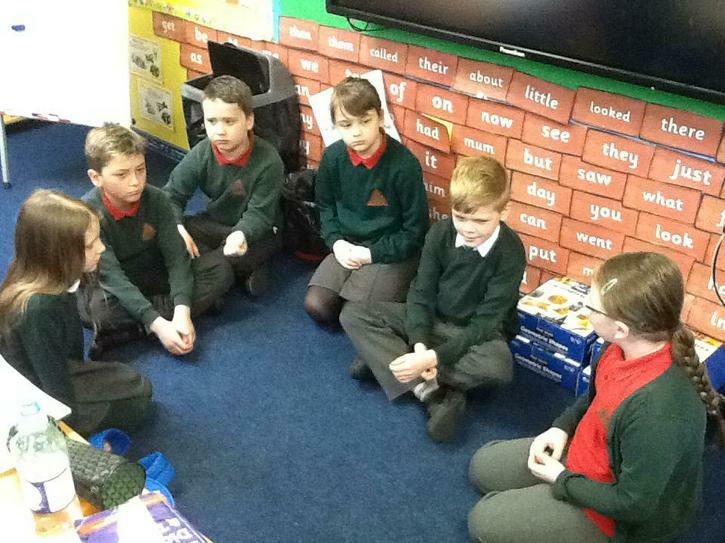 All the children enjoyed the session and were able to join in and talk freely as all ideas and justifications were valued. 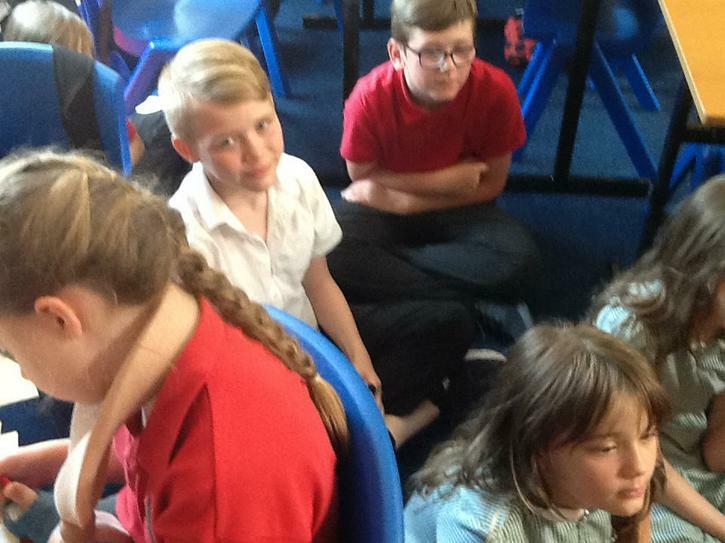 We can't wait for our next session. 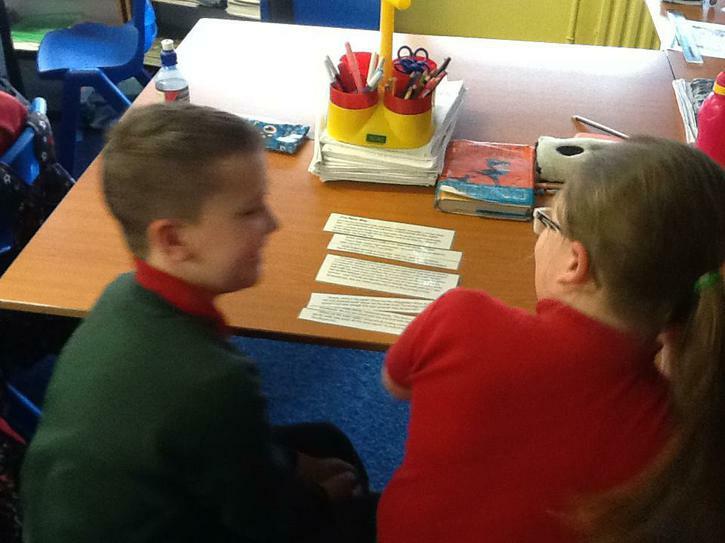 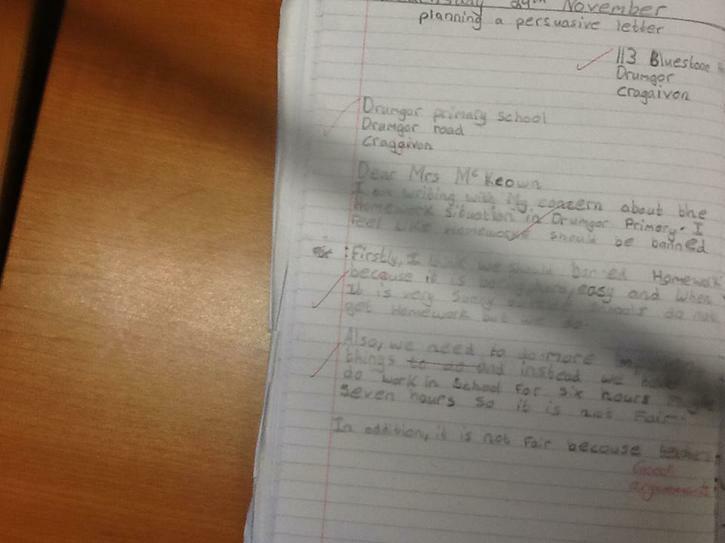 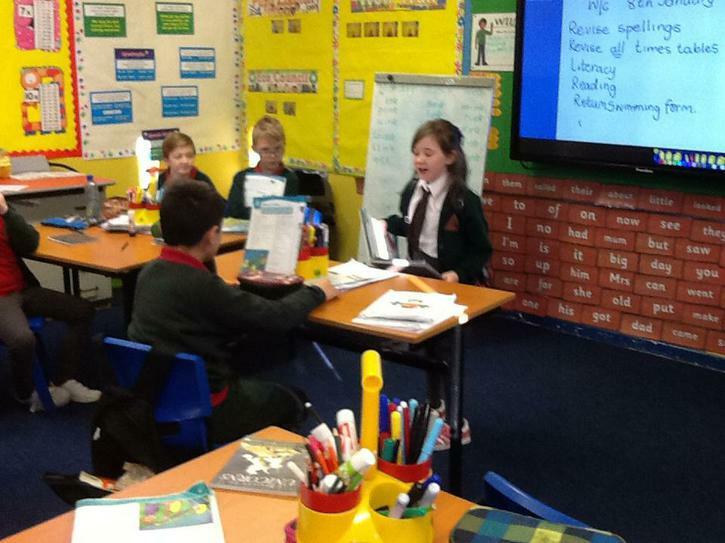 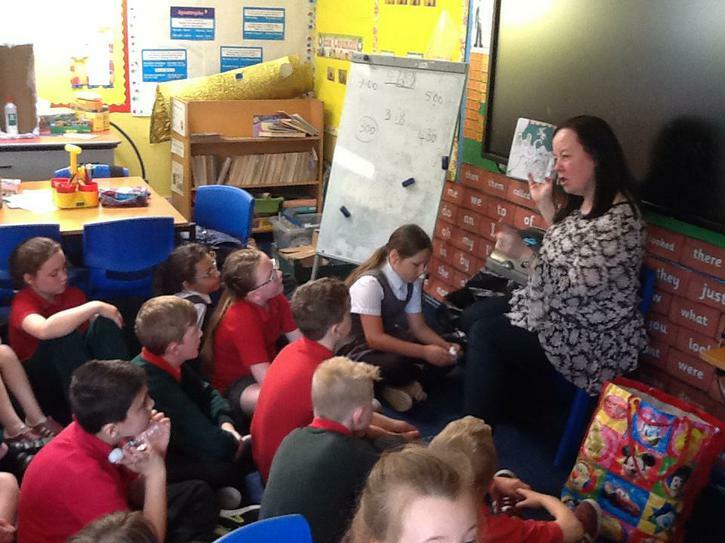 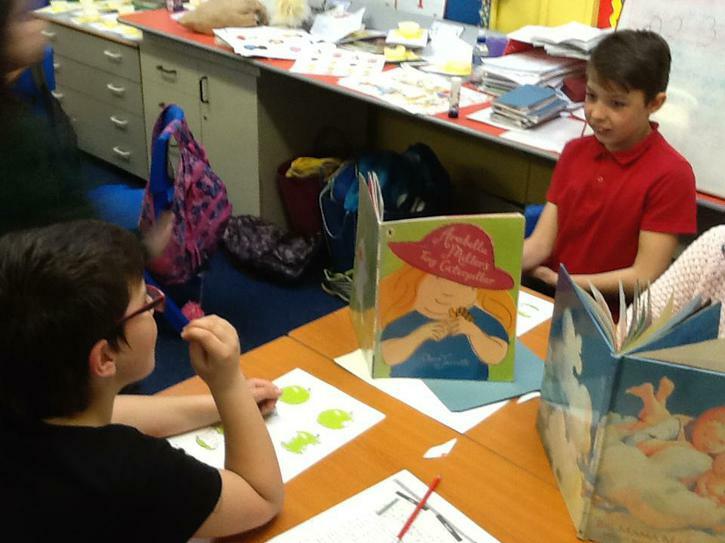 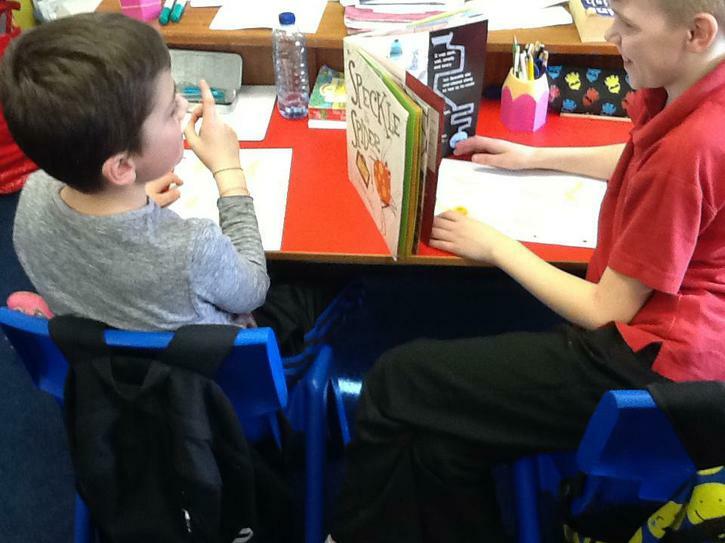 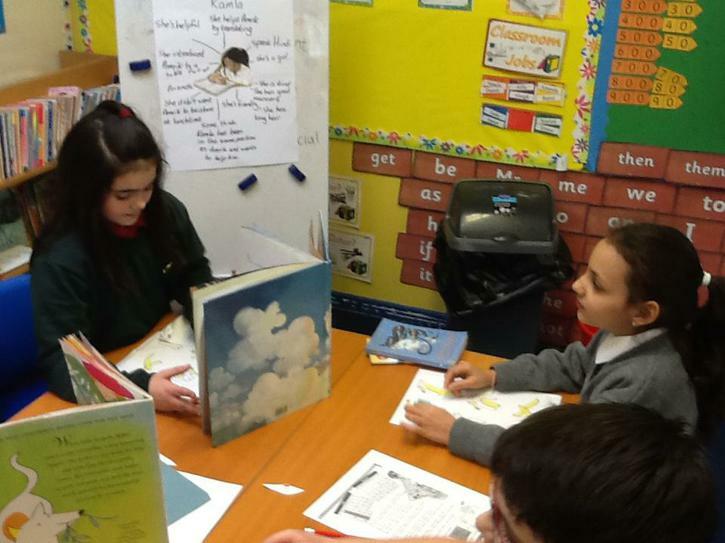 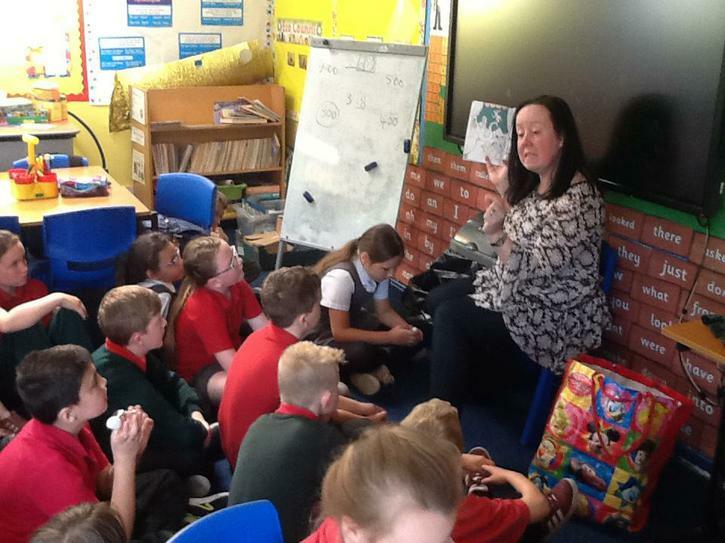 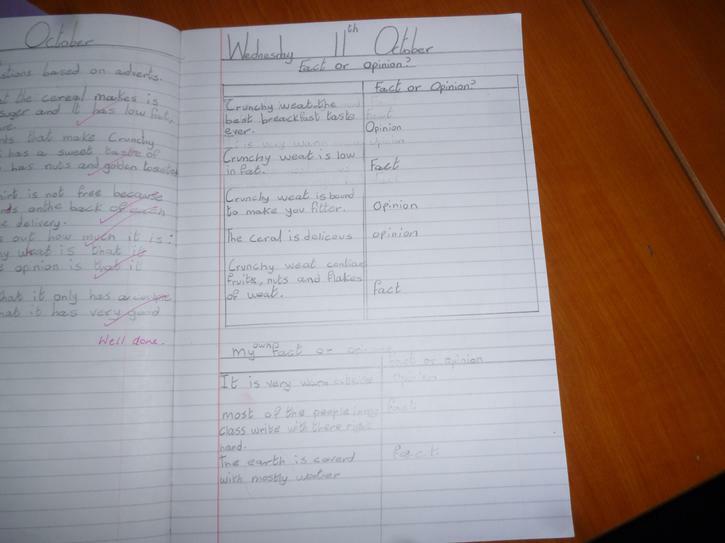 Thank you Mrs Parnham, Mrs Jenkins is highly motivated to include Talking Partners into her Literacy lessons! 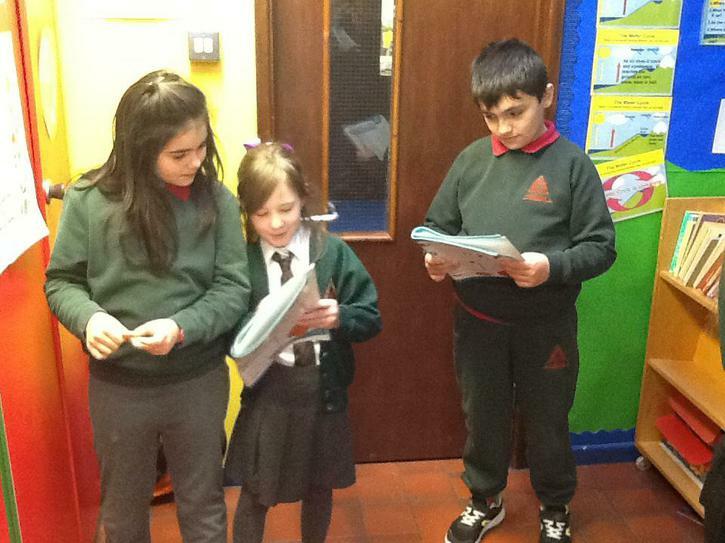 We have been writing our own poems based on the poem, "Winters Morning", written by Odgen Nash. 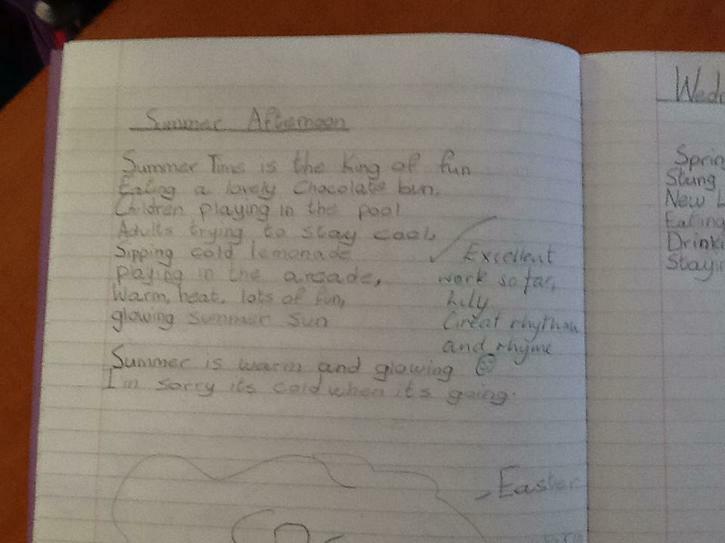 Have a look at some of our poems, "Summer Afternoon". 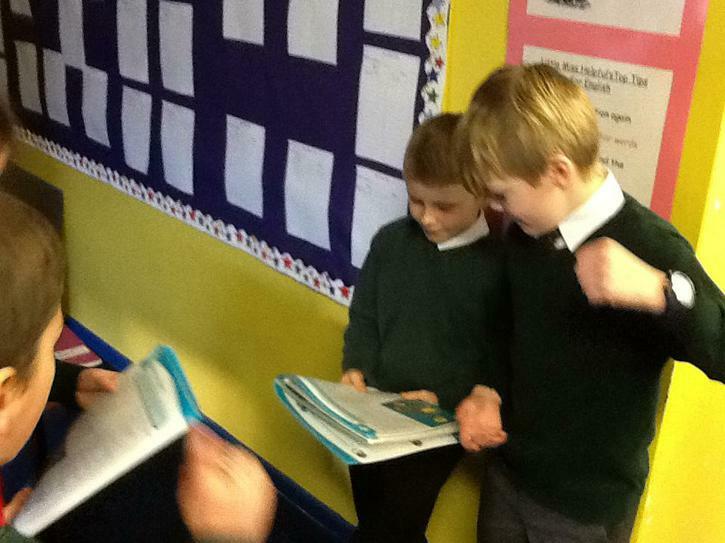 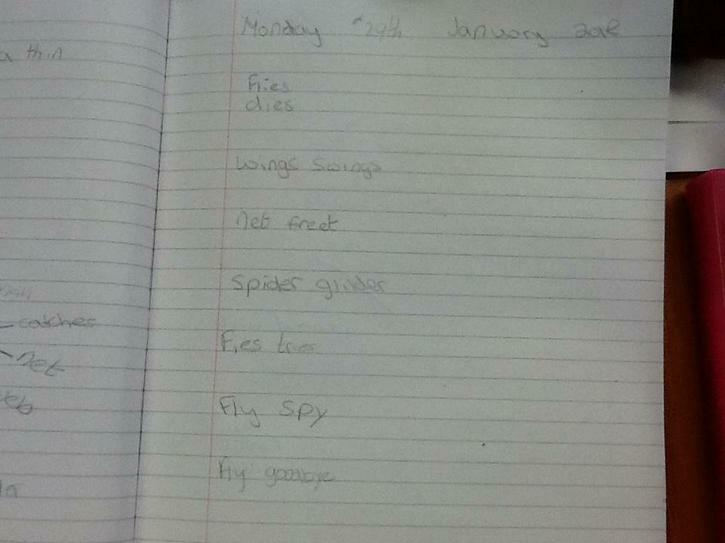 We are looking at Patterns in Poetry during January and February. 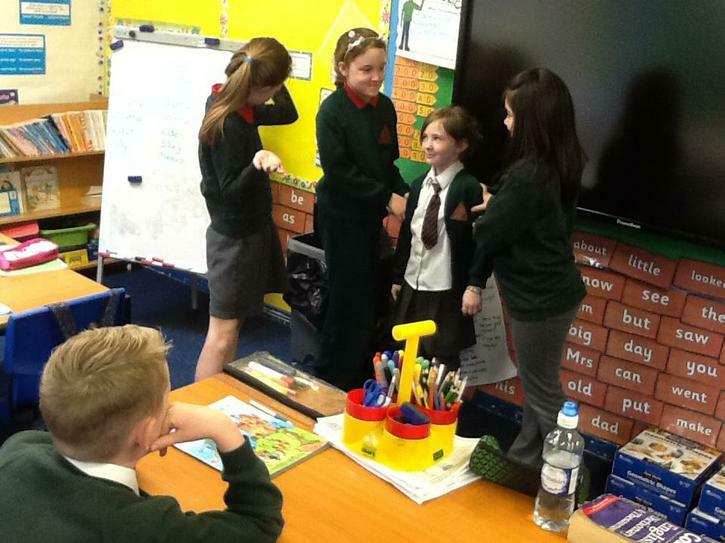 We had great fun acting out "All for an Ice cream" and "I'm the Youngest in the house". 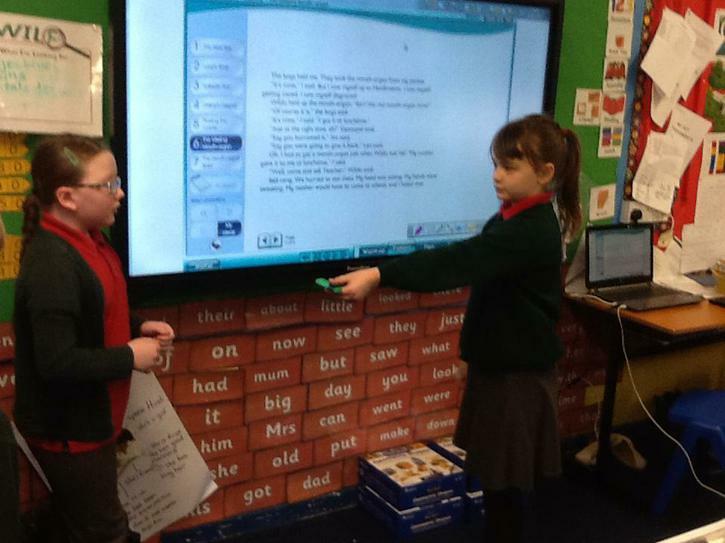 We can identify patterns, rhythms and rhymes in poems and also enjoyed writing our own cinquain poem - a poem with no title and only 5 lines! 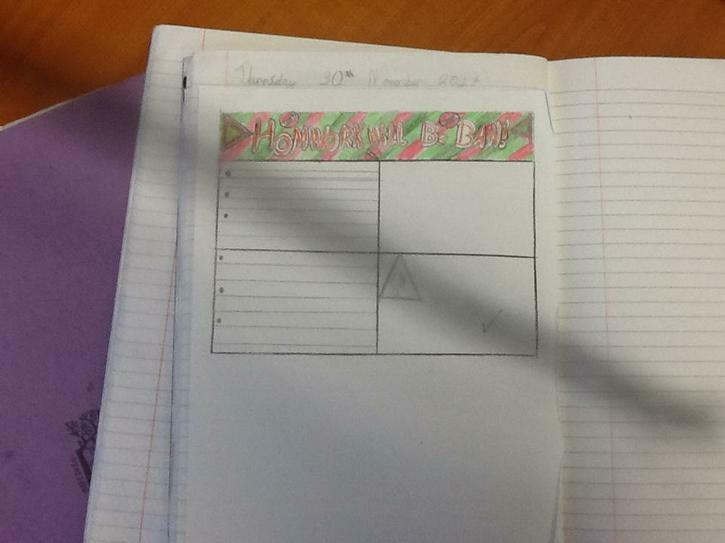 Our Literacy Topic for November and December gave us the opportunity to put our own points of view across. 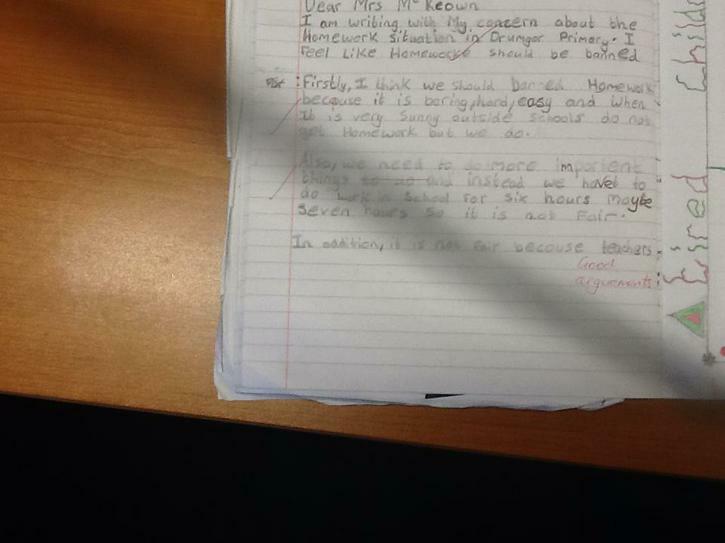 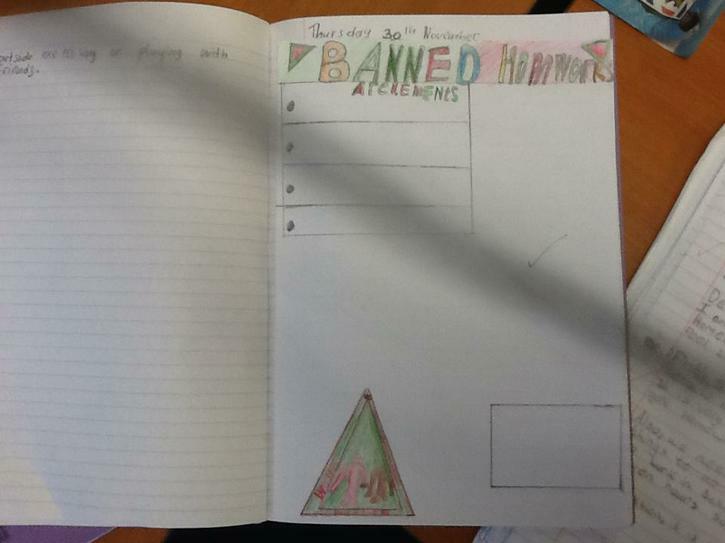 We were very persuasive when it came to writing a letter to our principal wanting homework in our schools abolished!! 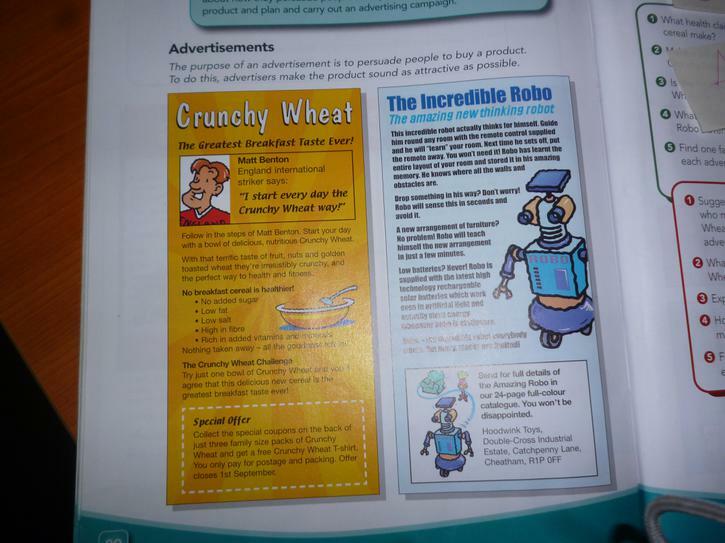 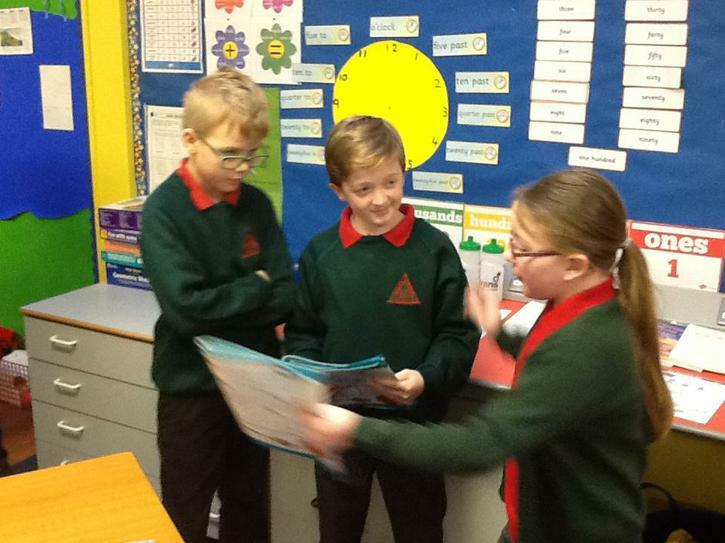 The children also examined flyers as a means for being persuasive and designed some very good flyers targeting their parents to help ban homeworks too!! 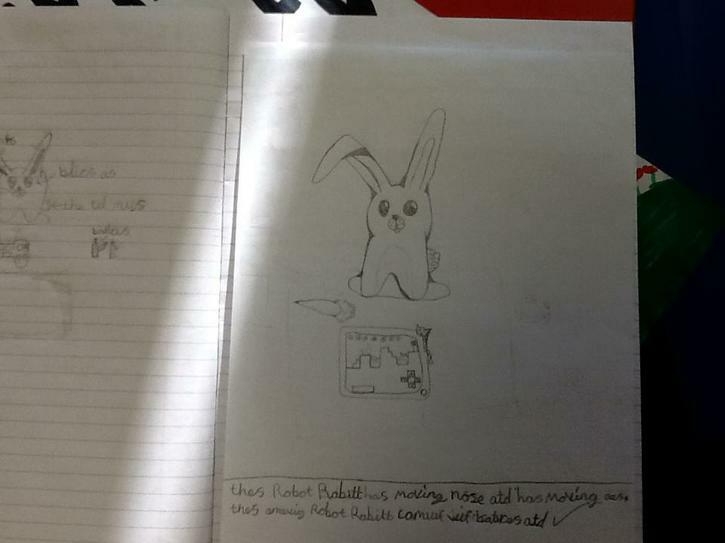 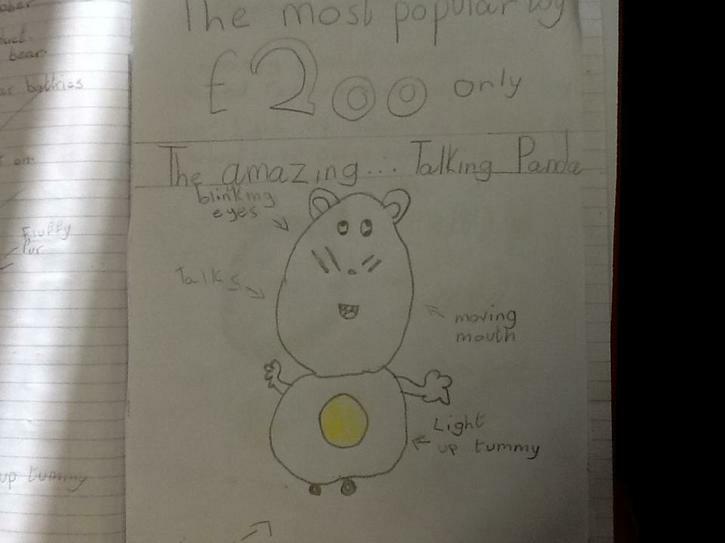 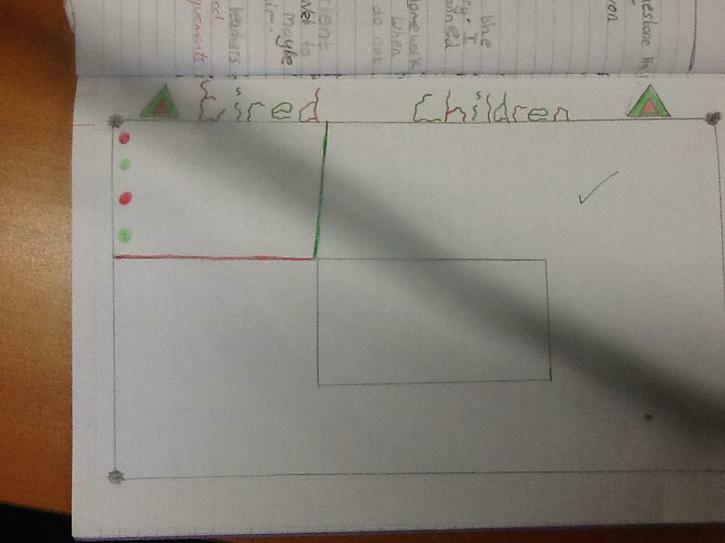 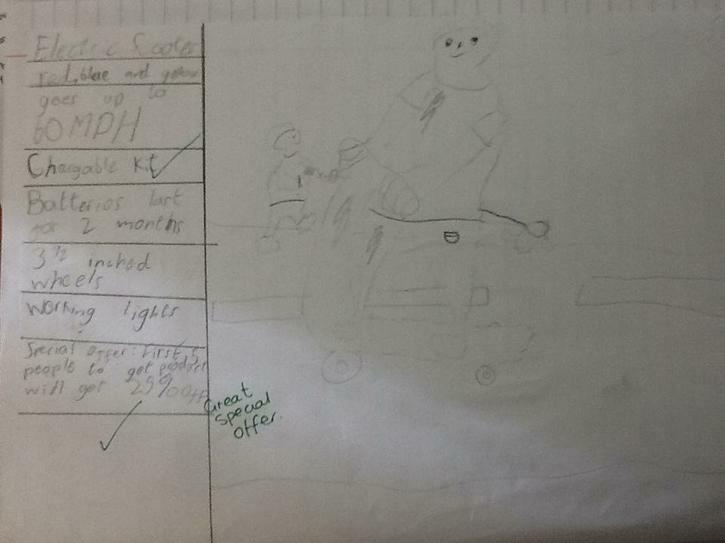 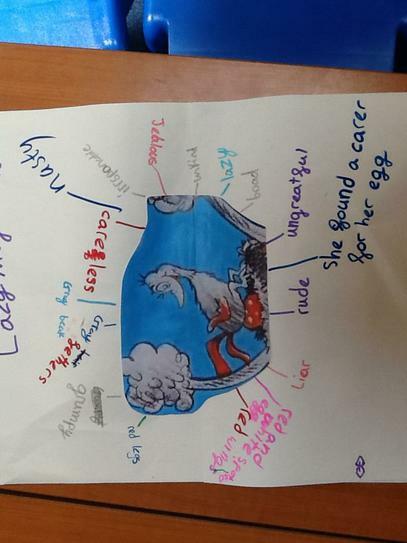 To finish off our topic of Advertisement we designed our own product to sell. 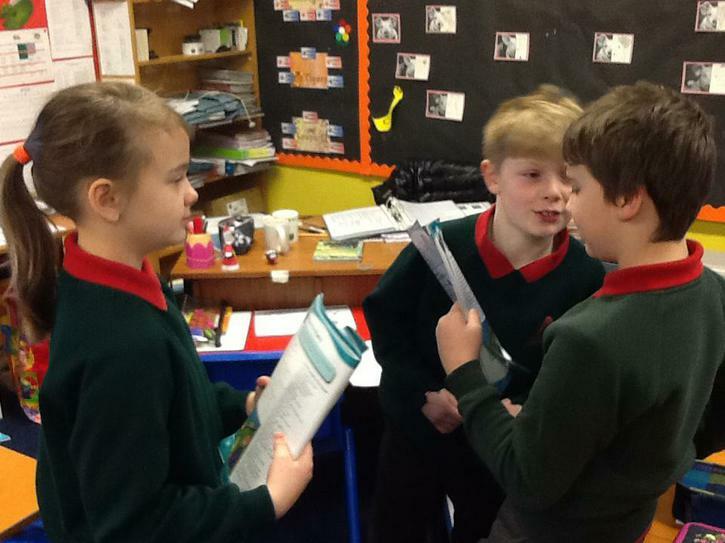 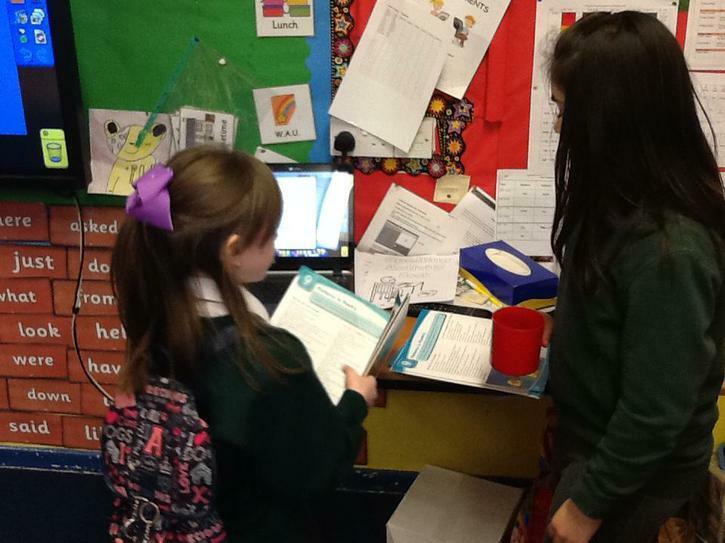 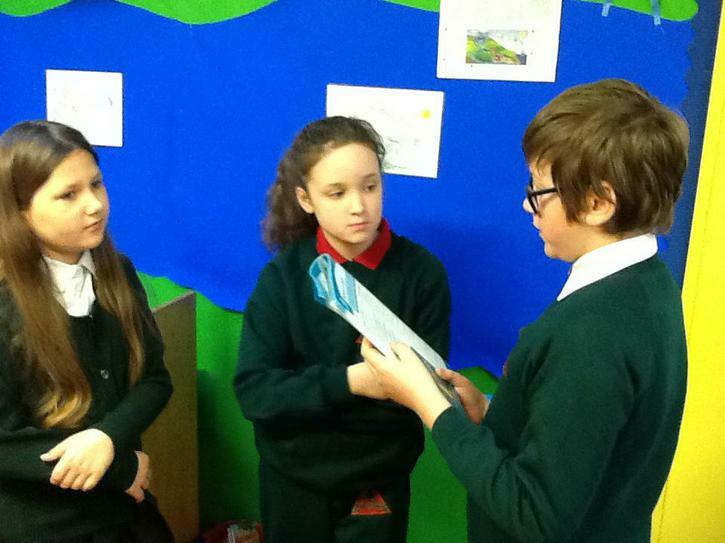 we even added special offers in order to persuade people to buy them. 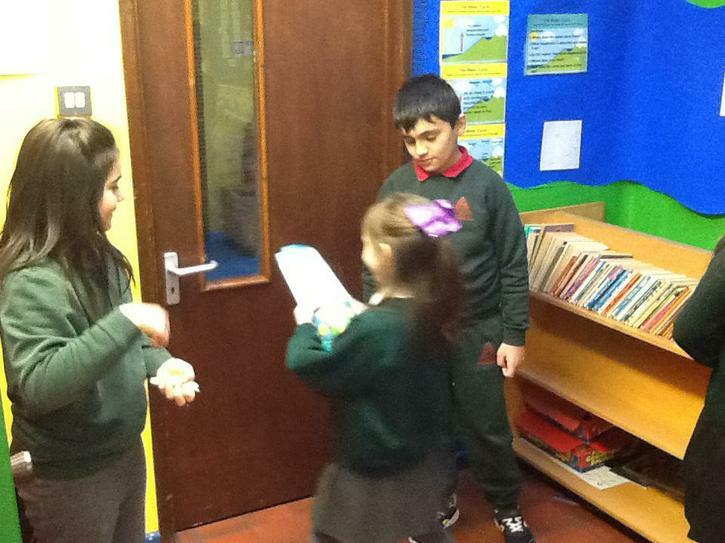 Have a look at the products in the making! 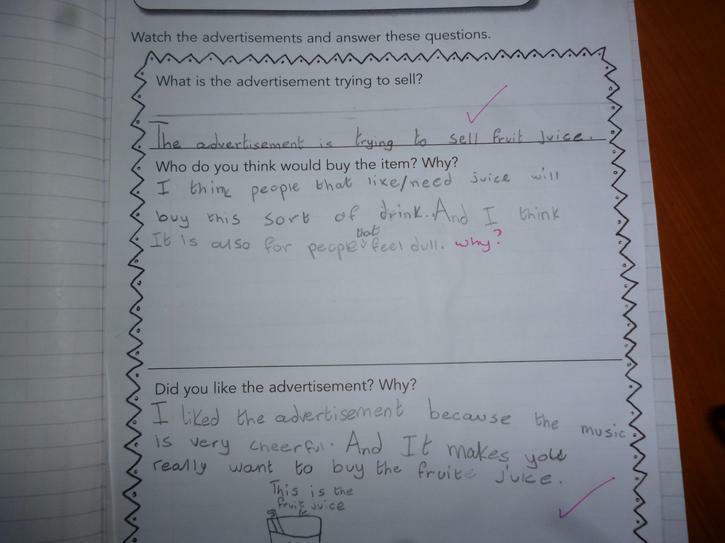 Over the next few weeks we will be looking at advertisments and how we are persuaded to buy a product because of the use of language and images.